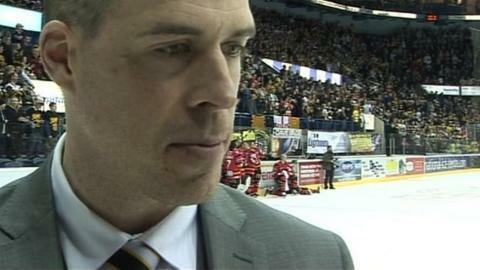 Nottingham Panthers head coach Corey Neilson says his team want to prove they deserve to be mixing with the best teams in Europe when they make their Champions League debut this weekend. Neilson's side are seeded 44th out of the 44 clubs in the competition. "It's a fair ranking, but we're looking to turn heads in the countries that dismiss UK ice hockey," Neilson told BBC Radio Nottingham. Panthers face Finnish side Lukko on Friday and Swedes Lulea on Sunday. Neilson accepts that the visitors are strong favourites. He said: "In our domestic competition we rarely go into a game as an underdog, but Lukko have got players on their team that earn more than my entire roster. "We've got to make sure we play a good, efficient game." BBC Radio Nottingham will provide commentary on the Champions Hockey League for Panthers games.